In English grammar, substitution is the replacement of a word or phrase with a "filler" word (such as one, so, or do) to avoid repetition. Also called ellipsis-substitution. 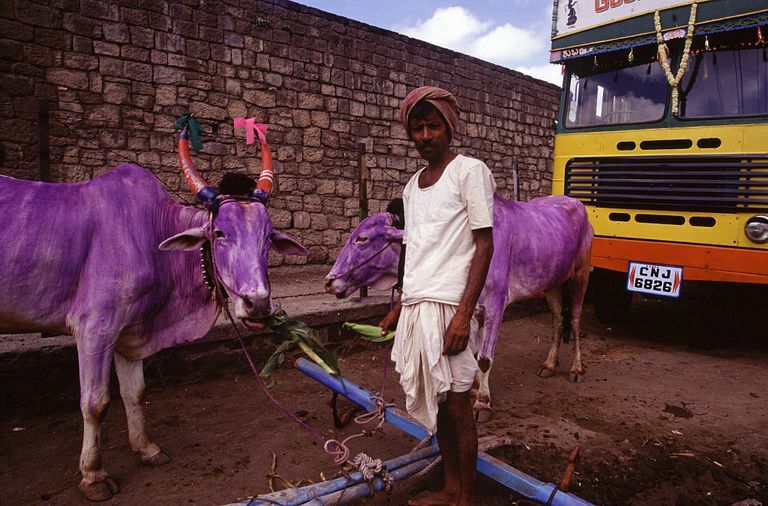 In lines two and four, one is a substitute term for a Purple Cow. Substitution is one of the methods of cohesion examined by M. A. K. Halliday and Ruqaiya Hasan in their influential text Cohesion in English (Longman, 1976). "Don't you ever read the Times, Watson? I've often advised you to do so if you want to know something." Niles: I'll have a decaf latte, and please be sure to use skim milk. "Any people anywhere, being inclined and having the power, have the right to rise up, and shake off the existing government, and form a new one that suits them better." Alan Garner: Hey guys, when's the next Haley's comet? Stu Price: I don't think it's for like another sixty years or something. Alan Garner: But it's not tonight, right? Stu Price: No, I don't think so. "In substitution, there are two expressions [A] . . . [B] in the text: [A] could be repeated (as in [A] . . . [A]) but instead we 'replace' it with a substitute word or phrase [B]. I bet you get married [A] before I do [B]. - substitution, using do as a substitute for get married"
"Substitution comes in three flavors: nominal, verbal or clausal, depending on the item being substituted. In (133) below, one is a substitute term for meeting, an example of nominal substitution. One or Ones are the terms most commonly used for nominal substitution in English. Verbal substitution is realized through an auxiliary verb (do, be, have), sometimes together with another substitute term such as so or the same. Example (134) shows the substitution of looks pretty good in the first clause with so does in the second one. The next example, (135) is one of clausal substitution, where so substitutes the previous clause. The terms used in clausal substitution are so and not. (134) : .../ah/ Thursday the sixth looks pretty good, and, so does Monday the tenth. | how 'bout for you. (135): do you think we'll need an hour? | if so, how 'bout, the twenty sixth, three to four? The examples above are all from the English corpus. "Ellipsis is a special instance of substitution, in that it involves substitution by zero. Instead of one of the lexical items mentioned for substitution, no item is used, and the hearer/listener is left to fill in the gap where the substitute item, or the original item, should have appeared." "It is important to point out differences between reference and ellipsis-substitution. One difference is that reference can reach a long way back in the text whereas ellipsis and substitution are largely limited to the immediately preceding clause. Another key difference is that with reference there is a typical meaning of co-reference. That is, both items typically refer to the same thing. With ellipsis and substitution, this is not the case. There is always some difference between the second instance and the first. If a speaker or writer wants to refer to the same thing they use reference. If they want to refer to something different they use ellipsis-substitution (Halliday 1985)." What Are Partitives in English Grammar?